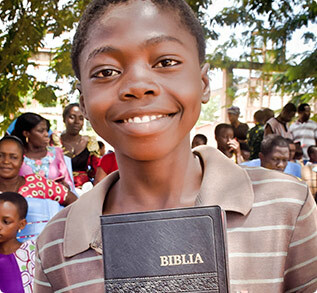 Just $5 can place Scripture in the waiting hands and open hearts of children and parents longing for a Bible of their own. 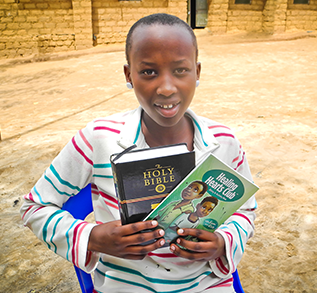 You can provide them with the gift of knowing Jesus … and their very First Bible! 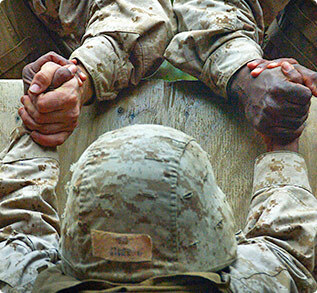 Risking their lives while separated from their families, our Troops are desperate for comfort and hope. Give them the encouragement and healing of God’s Word for just $5. Provide the paper to help print copies of God’s Word in China — one of the largest mission fields on the planet — for just $1 per Bible. A special gift of $600 will provide a full roll of paper to print 600 Bibles — enough to fill an entire Church! 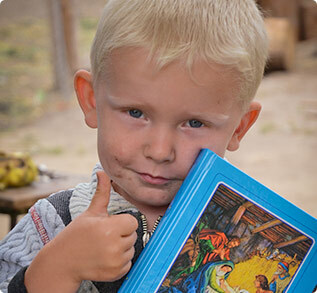 For just $5, you can give joy to a hurting and orphaned child by providing a Children’s Bible. 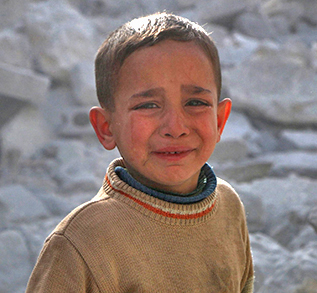 Persecuted Christians desperately seek the spiritual nourishment of God’s Word. 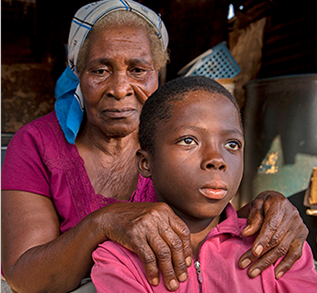 Offer the comfort and hope of Scripture to those suffering around the world for just $5. 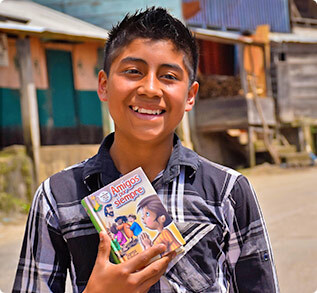 Provide the gift of God’s Word to children around the world who thirst for the Savior’s love — just $5 per Children’s Bible. They fought for us. You can send a special thank you and show you care. 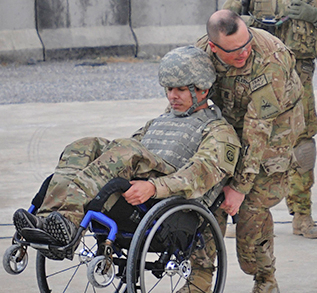 Provide a specially designed large print Bible and other Scripture-based resources that will give hope to our brave Veterans for just $5. SHARE THE POWER OF GOD’S LOVE — AND HEAL A CHILD’S HEART! Heal a heart by sending a hurting, traumatized child in need to a very special place to experience the power of God’s Love — Healing Hearts Camp — for just $22 per day! You can share Scripture with women and children in Africa who desperately need to experience God’s love, compassion and restoration. 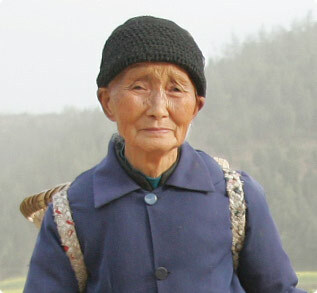 Give the gift of healing and hope to those who have suffered from the brutality of war, conflict and gender violence. With every gift you make from this catalog, you will receive a free greeting card (see below). And when you give a single gift or a combination of gifts totaling $100 or more, you will also receive the children’s nighttime devotional, Five Minute Bedtime Bible Stories, as our gift to you. If your gifts total $50-99, you will receive a free copy of The Men’s Bible, which features 72 daily readings of biblical inspiration and encouragement. See below for more information on each of these thank-you gifts. GREETING CARD FREE WITH EVERY GIFT! You will receive a beautiful greeting card for every item you give. Use the card to let your loved one know that you’ve sent a gift in their name through American Bible Society. Each card contains information about the gift you've sent in your loved one’s honor. Looking for an engaging way to introduce little ears to the Bible? Five Minute Bedtime Bible Stories use simple language and colorful illustrations to make some of the Bible’s most beloved stories come alive for your children or grandchildren. Here’s a great resource to help men start or end their day by focusing on God’s Word! Featuring 72 devotionals from experts in men’s ministry, The Men’s Bible will challenge and encourage men in any season of life to live for Christ in a fallen world. American Bible Society reserves the right to substitute a free item based on availability. You may also forgo receiving a free gift by checking the appropriate box on the order form. You may be eligible for a free gift based upon the total amount of your donation. All of our gifts fall within the IRS tax guidelines for charitable giving. However, if you request more than one gift, the total of those gifts may exceed the limitations of the tax law and therefore the actual amount of your donation may be adjusted accordingly. This will be indicated on your January year-end receipt.